Transportation plans require big budgets. For instance, when we plan a new road or a widening – with a lane in each direction – we figure on spending about $6.7 million per mile. In the world of transit, a fully-equipped 40-foot passenger bus can cost about $475,000. And a mile of multi-use trail can cost between $750,000 and $1 million, depending on the area. Transportation projects are traditionally funded through four major sources: 1) federal gas tax, 2) state gas tax, 3) local gas tax, and 4) tolls. Each time you go to the pump, you pay 18.4 cents in federal gas tax per gallon of gasoline and 24.4 cents per gallon of diesel fuel. This is a flat rate per gallon – not a percentage of the total cost. According to the United States Department of Transportation, about 85% of federal gas taxes collected go to highways, and about 15% to transit. 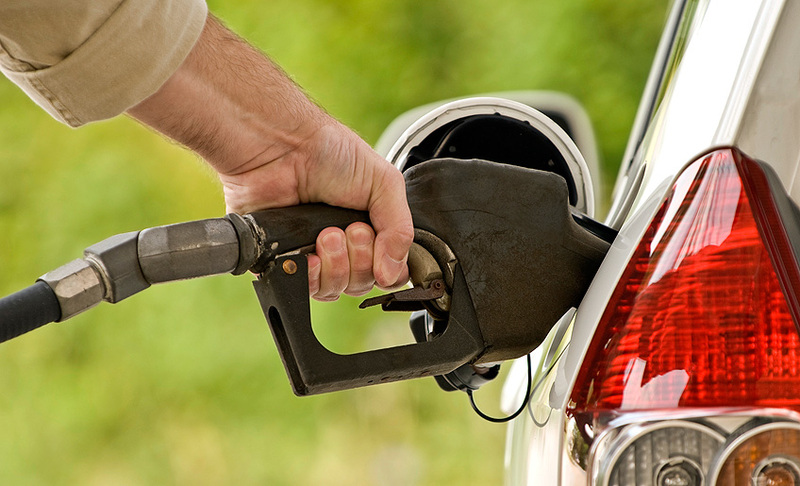 The federal fuel tax is not tied to the consumer price index (CPI) or adjusted for inflation. The rate has not been adjusted since 1993. By comparison, the wear and tear on the region’s roads has increased dramatically since then – by almost 50%. That means the transportation system infrastructure is deteriorating at a faster rate than it has in the past. Yet, at the same time, one of the main sources of funds allocated toward rebuilding and repairing the transportation infrastructure is diminishing. Fuel efficiency continues to improve, and the number of electric and hybrid vehicles is growing. This means cleaner air for the region and more efficient car travel for consumers, but less money collected in gas taxes. And electric cars currently are not paying any gas taxes to maintain and improve the transportation system. The bottom line is that the federal gas tax is a declining funding source for transportation. The state portion of the gas tax is about 20.7 cents per gallon. These state gas taxes make up nearly 70% of revenues going into the State Transportation Trust Fund and are periodically adjusted for inflation. Other revenue sources for the state trust fund include various fees, such as: license fees, rental car surcharge, registration fees and title fees. These sources are not adjusted for inflation, so their buying power diminishes over time. In any given year, about 8% of the State Transportation Trust Fund revenues are diverted for things like general fund service charges, education, tourism, and other programs. Some of these diversions are in the State Constitution (such as the money going to education); others are included in state law, such as a portion of the statewide rental car surcharge going to trade and tourism promotion. About 15% of the state’s transportation funds are committed to non-highway projects like public transportation, ports, and airports. For detailed information on federal, state and local gas tax sources and revenues, view the FDOT Tax Primer. Tolls are user fees that drivers pay per mile. Toll roads are funded by those who choose to use them, while non-toll roads are funded by everyone through gas taxes. Money collected on these roads gets re-invested into the toll road system. These funds cannot currently be used on non-toll transportation projects. Over the years, Central Florida’s toll road network has grown to help meet growing transportation demand more quickly than paying for roads with gas taxes. There are other options to better fund transportation. Local governments and transportation agencies are also increasingly looking to public-private partnerships to accelerate transportation projects. One example is the I-4 Ultimate project, in which government joined with a commercial enterprise to build a project that would have taken 20+ years to build through traditional funding methods. However, this requires the repayment of funds in future years from gas taxes and toll revenue. Several communities across the country – including Charlotte, North Carolina; Denver, Colorado; and Salt Lake City, Utah – have approved modest local sales tax increases to help fund transportation. If Central Florida did something similar here, we could raise about $489 million annually for the region with a 1% sales tax increase. The State of Oregon has launched a bold experiment, which explores how charging drivers by the mile traveled, rather than the gallon of gas consumed, can boost the state’s transportation funds. Several other states are also studying this formula, which may be a potential replacement for the gas tax in the future – charging all users the same rate regardless of fuel efficiency or how a vehicle is powered.